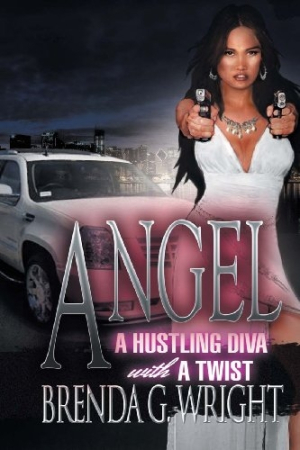 In Brenda G. Wright’s debut novel, Angel: A Hustling Diva with a Twist, her protagonist is a woman trained from childhood to be an assassin. Angel has never known a normal existence. She learns to do what those around her, especially the men, do best: kill. With the slick business skills of an entrepreneur and the heavy hand of a terrorist, she implements acts of ruthless violence. Emotionless when necessary, manipulative when required, and even nurturing to those she loves, this terrifying character is a treacherous psychopath with a personal agenda. Seeing a woman in a role often reserved for a man is strangely fascinating, but the failings of this book, primarily due to poor editing, compromise the quality of the narrative to a considerable degree. Often lapsing in and out of coherence and changing verb tenses in the middle of a paragraph, the result is confusion. Though Wright’s descriptions are vivid and detailed, she tends to tell us what happens after the fact, rather than show it. There are other problems, too. Set in Chicago, the metropolis is depicted as a stereotypical, gritty underworld without mercy, which seems a bit outdated. And the back cover blurb and author biography need proofreading. On a positive note, the artwork on the front cover has a striking design. Angel is the first installment of a planned series. In the hands of a good editor, Wright’s work could reach a higher level of literary quality. Her “hustling diva” will appeal to those who enjoy graphic novels with a lot of action and the work of filmmaker Quentin Tarantino.